As this paper goes to press, New Zealand is a handful of days away from perhaps the most significant election in the country’s history. 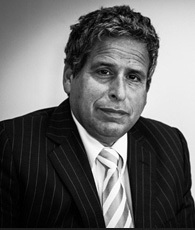 One key issue for consideration is the status of the Trans-Pacific Partnership Agreement (TPPA), a comprehensive free trade agreement involving a dozen countries including New Zealand, still in the negotiation phase. 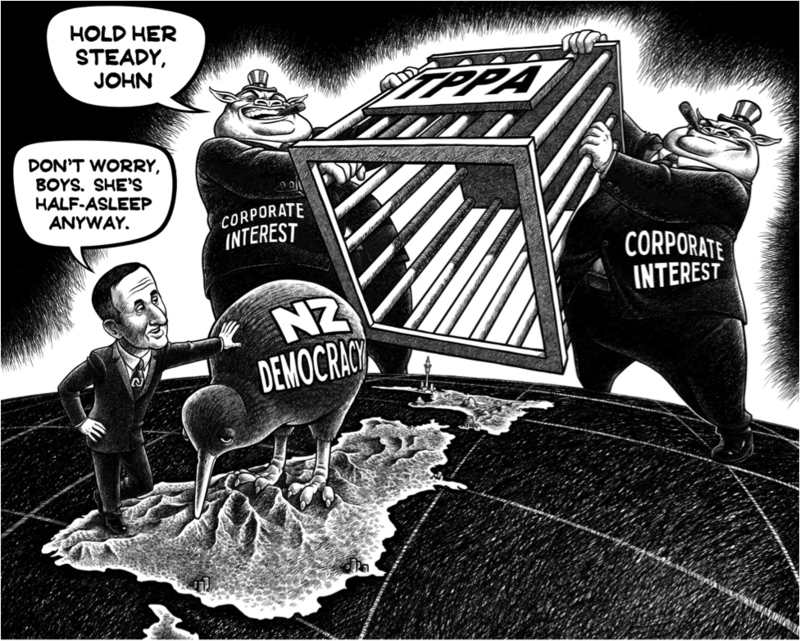 The TPPA would give the world’s most aggressive economy – the United States (U.S.) – access to New Zealand’s markets and to the mechanism of investor/state arbitration against New Zealand, while stripping the New Zealand Parliament of its authority over much of the country’s trade and business. 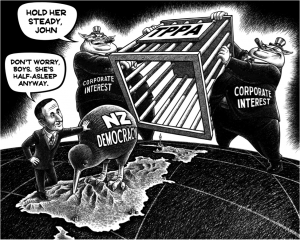 This paper addresses five systemic aspects of the TPPA: (1) the asymmetry of the trade relationship between New Zealand and the U.S.; (2) the secrecy and lack of transparency that permits unequal bargaining positions between producers and consumers throughout the free trade area; (3) the capture of the entire trading relationship by U.S. special interest groups which instrumentalise the office of the United States Trade Representative (USTR) to sanction and coerce countries into adopting U.S. corporate interests; (4) the tendency by the U.S. to legislate extra-territorially for other sovereign countries; and (5) the disparity between the trade negotiation process and New Zealand’s ability to maintain its rule-of-law standard. Click here to download the PDF version of the paper.